The issue of obesity remains a hot-button topic both in the medical community and throughout society. 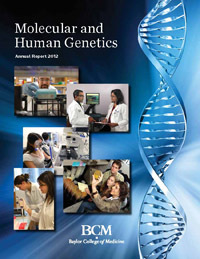 As researchers become increasingly aware of the impact genetics have on the onset of diseases and conditions, the focus on obesity has begun to shift from being entirely about eating habits, diet, and exercise to include a better genetic understanding of how some people may be predisposed with obesity — an insight that can give medical practitioners and public health policy makers new insight into helping to curtail the medical condition. In an effort to further discussion and share new research insights into the study of obesity, a public seminar scheduled for April 8th at the Children’s Museum of Houston will focus on the subject on how genes impact weight. The seminar is part of a monthly, ongoing series of events called Evenings with Genetics, which is being sponsored by the Baylor College of Medicine Department of Molecular and Human Genetics and Texas Children’s Hospital. Speakers for the discussion on genetic and body weight will feature Dr. Chester Brown, associate professor of molecular and human genetics at Baylor, and Dr. Ann Smith Barnes, associate professor of medicine at Baylor. The Institute for Molecular Genetics was created in 1985 and renamed the Department of Molecular and Human Genetics in 1994. The department is chaired by Arthur L. Beaudet, M.D., and offers a variety of research, clinical, and training programs in genetics to graduate, medical, and postdoctoral students. The program is free and open to the public. It will be held at 7 p.m. at the Children’s Museum of Houston, 1500 Binz, 77004. For more information, contact SanJuana at 832-822-4280 or visit the registration page.